Calling all Raina Telgemeier fans! 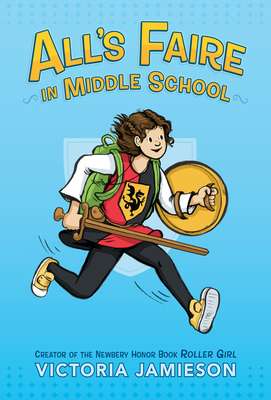 The Newbery Honor-winning author of Roller Girl is back with a heartwarming graphic novel about starting middle school, surviving your embarrassing family, and the Renaissance Faire. Victoria Jamieson is the creator of the Newbery Honor winner Roller Girl. She received her BFA in Illustration from the Rhode Island School of Design and worked as a children's book designer before moving to Portland, Oregon and becoming a freelance illustrator. She has also worked as a portrait artist aboard a cruise ship, and has lived in Australia, Italy, and Canada. She maintains a not-so-secret identity as Winnie the Pow, skater with the Rose City Rollers roller derby league and has a not-so-secret past as a Renaissance Faire groupie.